Home > Learn > The Basics > Alzheimer's FAQs > Do the memory drugs work? The recommended medical treatment for Alzheimer’s disease and many of the other dementias includes a group of drugs that are often called “dementia slowing” or “memory enhancing” medications. The most prescribed include a group of drugs called cholinesterase inhibitors. These go by the trade names of Aricept, Exelon and Razadyne. These drugs do not stop the underlying progress of dementia, but they often support better thinking and memory. The drugs work by boosting a brain chemical that is essential for healthy thinking and functioning. Another drug called Namenda has different neuroprotective properties but also supports better brain functioning. Most persons on Namenda are on one of the three cholinesterase inhibitors and this combination therapy seems to work best. These four current medications for dementia provide modest benefit. They can temporarily improve symptoms and help a person think better and remain independent longer. Conventional wisdom is that the drugs begin to lose their effectiveness over time. Side effects for these medications are modest and can include stomach/digestive (GI) problems, vivid dreams, and agitation. One of the challenges of these drugs is that they work better for some people than others. Some people taking the medications have noticeable improvement. They might return to the golf course, gain back skills like operating the washing machine or report better memory in general. Others may be benefitting but show no noticeable effect. In these cases the drug or drugs may be helping them maintain their current levels of functioning; this is still a valuable benefit. There are some people who seem to have no apparent benefit from these memory medications. The US Alzheimer’s Association endorses these medications. However the Alzheimer’s Association encourages families to maintain realistic expectations, noting that the medicines don’t cure Alzheimer’s or stop it from progressing but may lessen symptoms for a limited time. A frequently asked question at support groups and in other settings is when to stop using the medications. 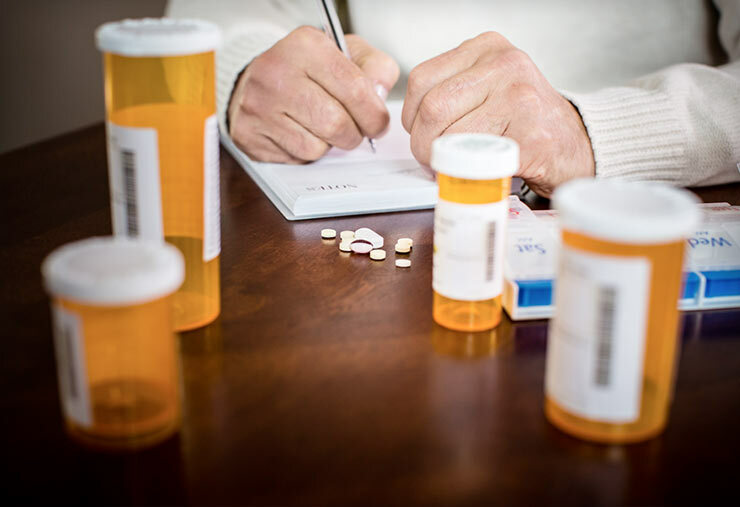 Many physicians will choose to keep a person with dementia on these medications for a long period of time under the theory that even modest benefits are better than nothing. Other physicians will slowly withdraw patients from these drugs if they and the families perceive that the drugs are no longer having a positive impact.